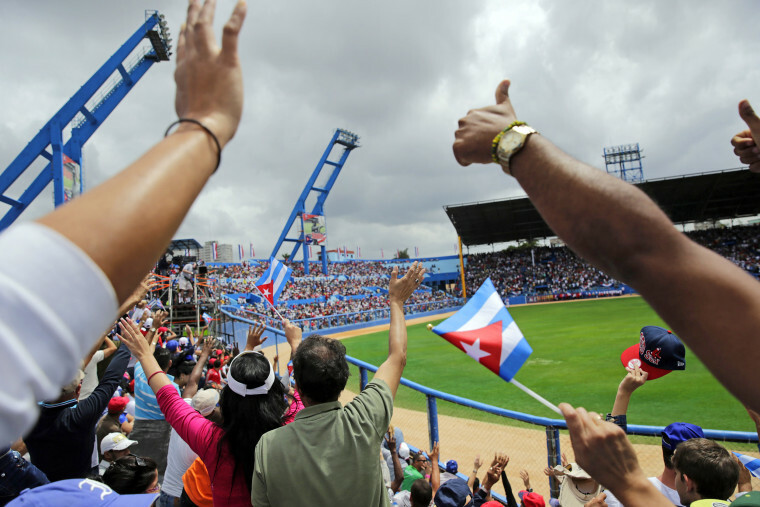 The Tampa Bay Rays are the first Major League team to play in Cuba since 1999. 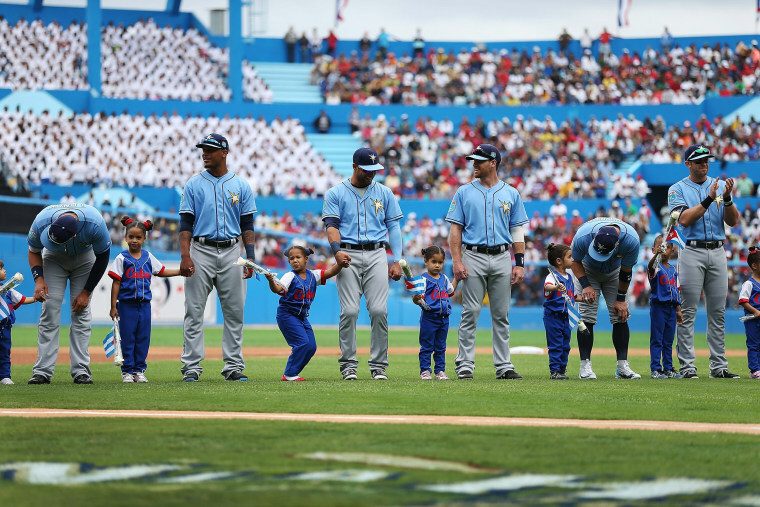 Tampa Bay Rays players stand with Cuban children as they are introduced before the start of their game against the Cuban national team at the Estado Latinoamericano on March 22, 2016 in Havana. 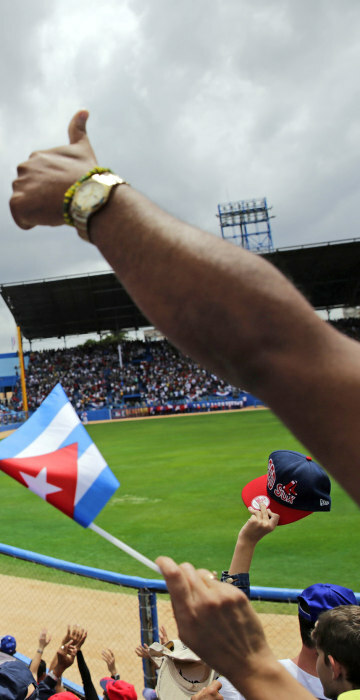 It's the first game featuring an MLB team in Cuba since the Baltimore Orioles played in the country in 1999. 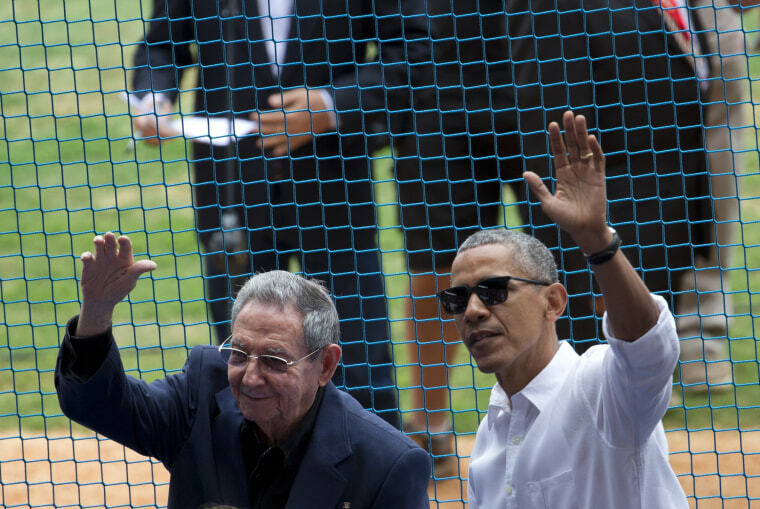 President Barack Obama and his Cuban counterpart Raul Castro wave to cheering fans as they arrive for the game. 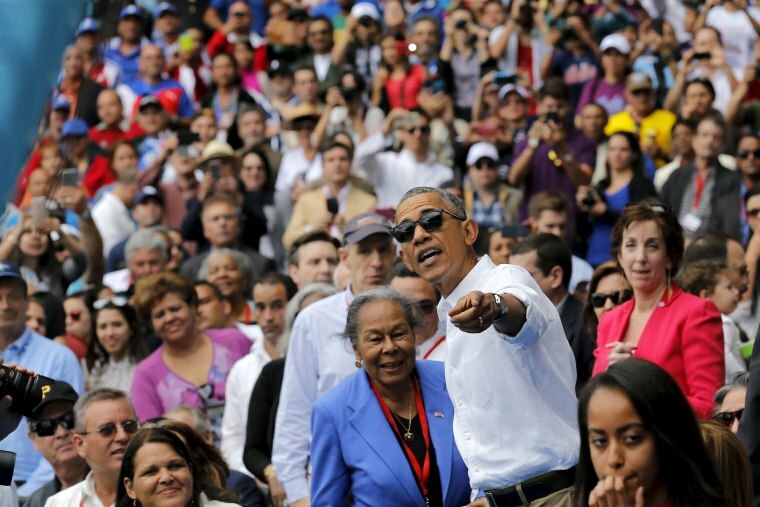 Obama's visit to Cuba is the first by a sitting U.S. president in 88 years. 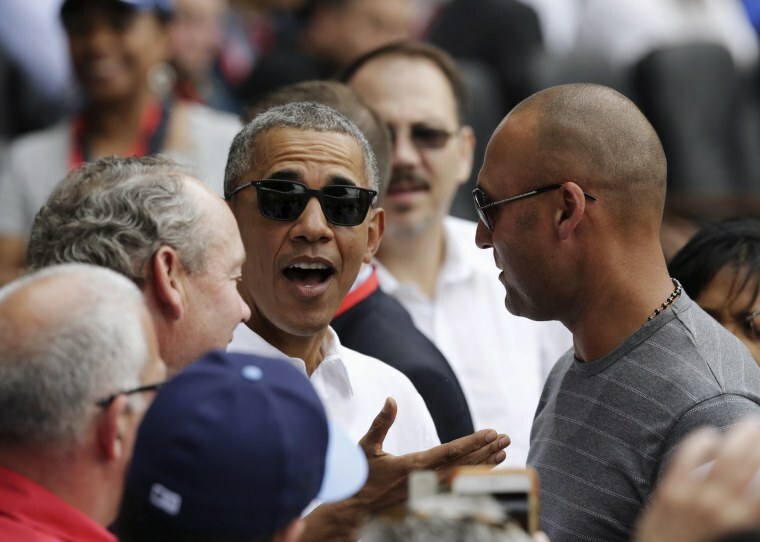 The crowd roared as Obama and Castro entered the stadium and walked toward their seats in the VIP section behind home plate. Spectators cheers during the game. 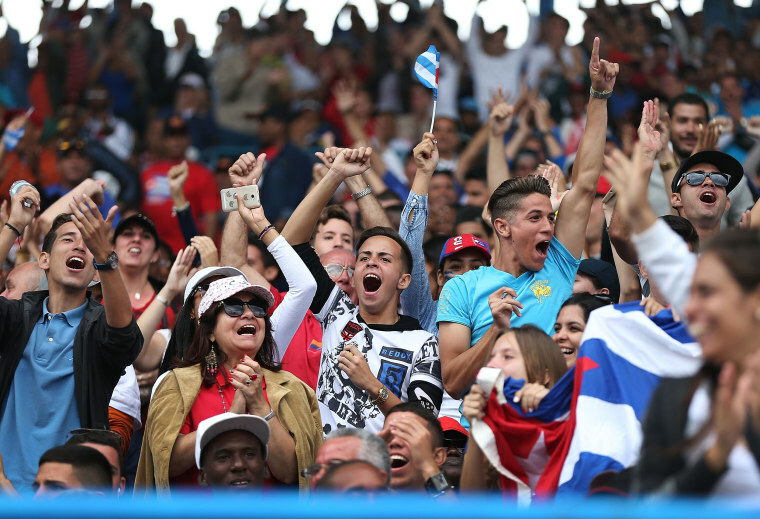 Fans cheer during the first inning of play. President Obama talks to Rachel Robinson, the widow of baseball legend Jackie Robinson. Steve Pearce of the Tampa Bay Rays dives safely into third base. 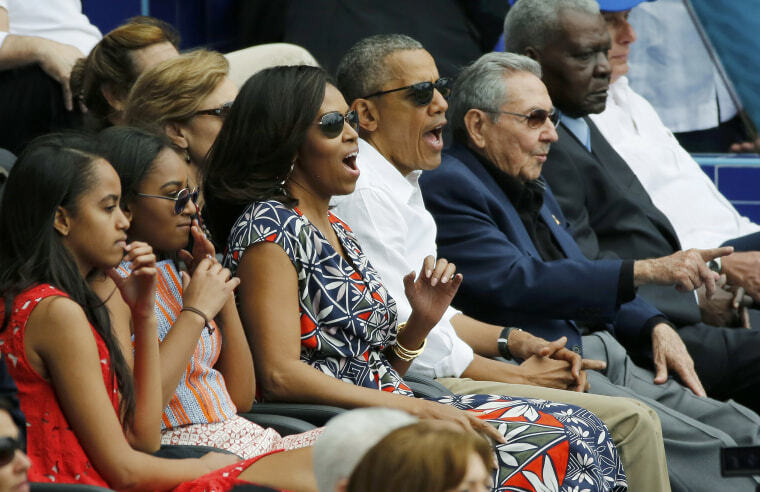 President Obama and his family and Cuban President Raul Castro react during the game. 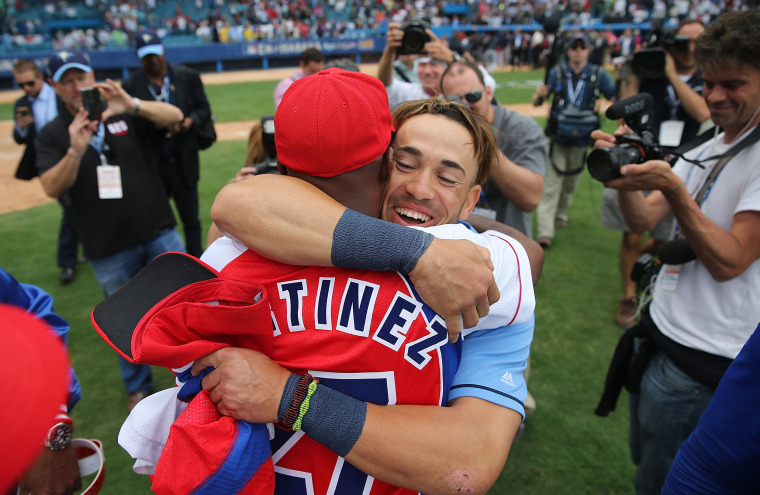 Dayron Varona of the Tampa Bay Rays, who defected from Cuba in 2013, is hugged by members of the Cuban National team after the game. The U.S. has announced changes that could soon provide a legal path to directly sign Cuban players. 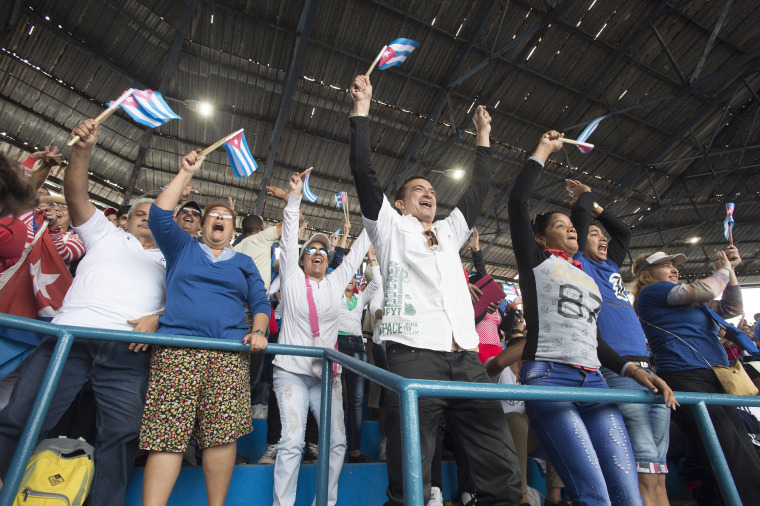 Fans wave Cuban flags during the game.